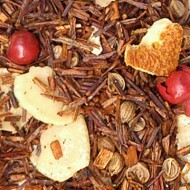 This sweet blend is fantastic hot or iced! 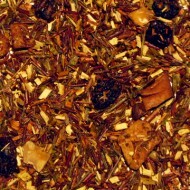 The combination of herbs and spices packs a refreshing punch of pineapple and grapefruit. 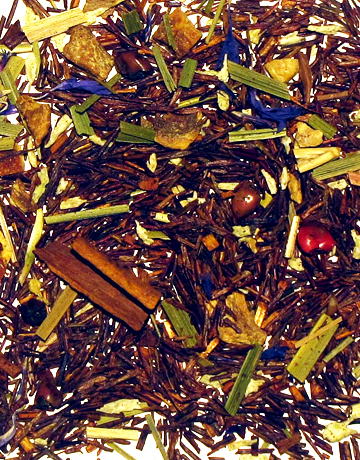 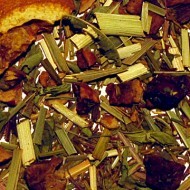 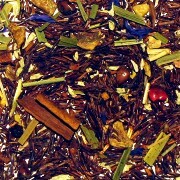 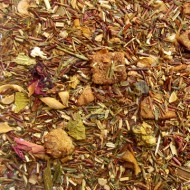 This blend of rooibos, cardamom, apples, lemongrass, red currants, ginger, orange peel, all natural flavor, coconut rasps, cinnamon sticks, rose pepper, and cornflower petals is a tropical pleasure!